Davido (right) with Rivers State governor Nyesom Wike during the artist’s visit to the Government House in Port Harcourt. 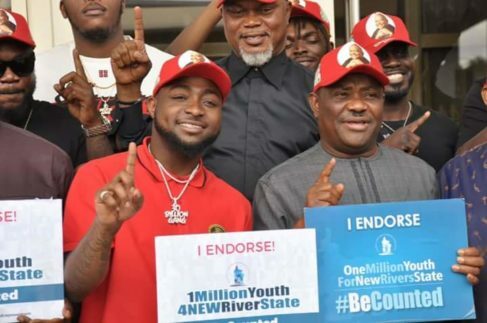 Nigerian music artist, David Adeleke, also known as Davido, has endorsed Rivers State governor, Nyesom Ezenwo Wike for a second term. Davido, during a visit to Government House in Port Harcourt, declared his support for the state Governor and urged the people of rivers to cast their vote for him come 2019 election. The Afro-pop star described Wike as a “performer “and commended him for his efficient developmental projects in the state. The Davido Music Worldwide(DMW) boss said he has identified young musicians who will be promoted in the state and announced his plans for a concert with local and international artists that will expose the young artist to the world. In response, Governor Wike declared his support to help achieve Davido’s plan to groom young musicians in the state. “We are committed to youth empowerment. Supporting musicians to grow is one of such avenues. 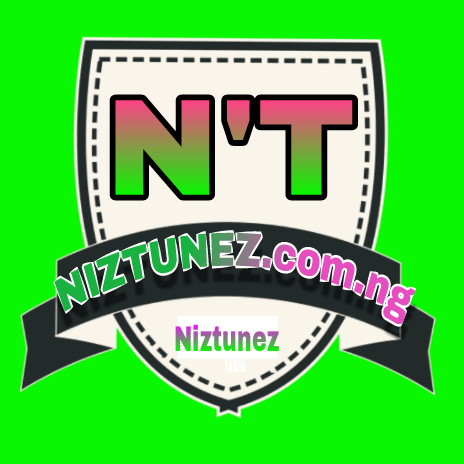 Therefore, we will partner with you to grow Rivers-based musicians,” Wike said. He also praised Davido for collaborating with Rivers-Born music artiste, Duncan Mighty, adding that the State Government would work with him to ensure that his Port Harcourt Music Concert, slated for December is successful.